Shopping for children can be really difficult. They all have different styles and children can sometimes be even pickier than the adults who are buying the clothes! This often means making several different trips to a lot of different stores and you can’t even guarantee that the clothes that you buy will fit properly, or even if your children will like them. If you have ever felt this struggle then you’ve come to the right place because here is a list of the best Shopify kids stores we could find. If you’re looking to buy the latest fashion or just get an idea of what’s out there then read on. 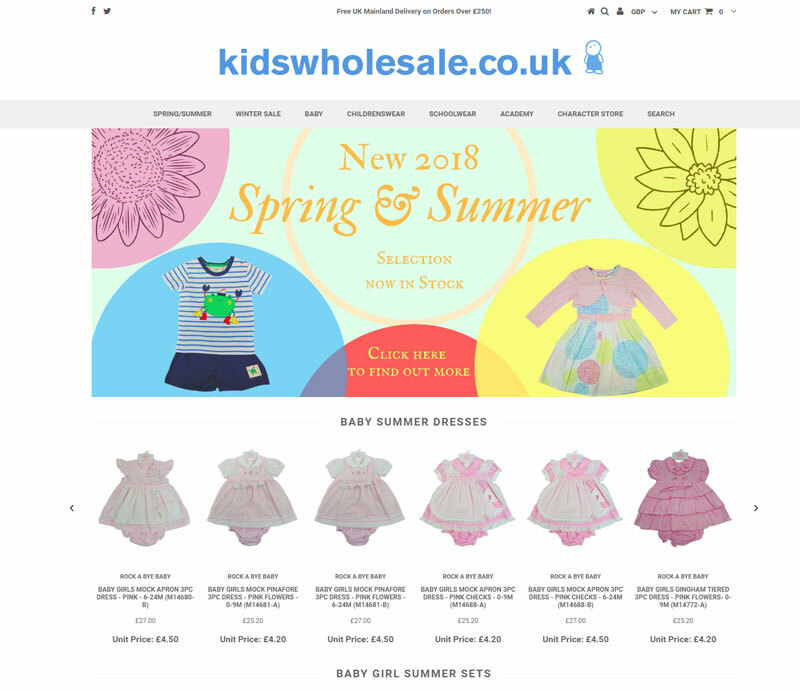 The founders of Kids Wholesale started over 35 years ago as market traders, working various stalls selling all types of clothing, from kid's clothes to womenswear. Evolving into specialised retail stores and eventually online, Kids Wholesale isn’t just a supplier of clothes. Because they supply a lot of major retailers with kids fashion and school wear they understand a lot about the business. As a result they also operate as an advisory service and are happy to pass their decades of experience onto others. 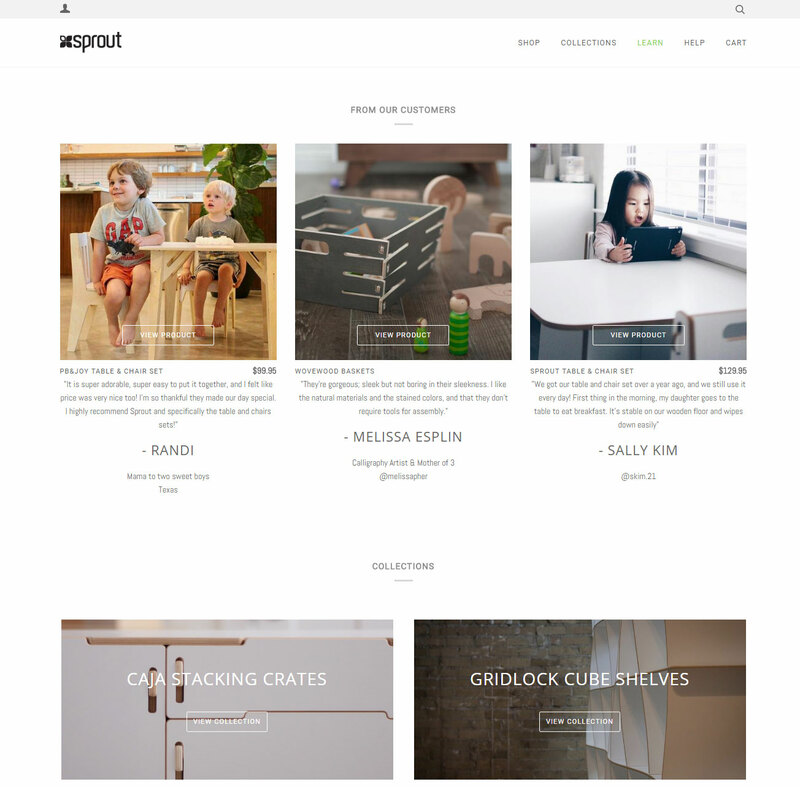 Sprout Kids was developed from a love of inventing and a love for creating new and fun things. This love started when the founder himself was just a child and lasted a lifetime. Now with his own kids, the founder wants to replicate the love he had for inventing and pass that on to the next generation of children. Although he doesn’t do clothing, the furniture and accessories that he designs is made with kids in mind, giving them their own space to learn, invent and create. 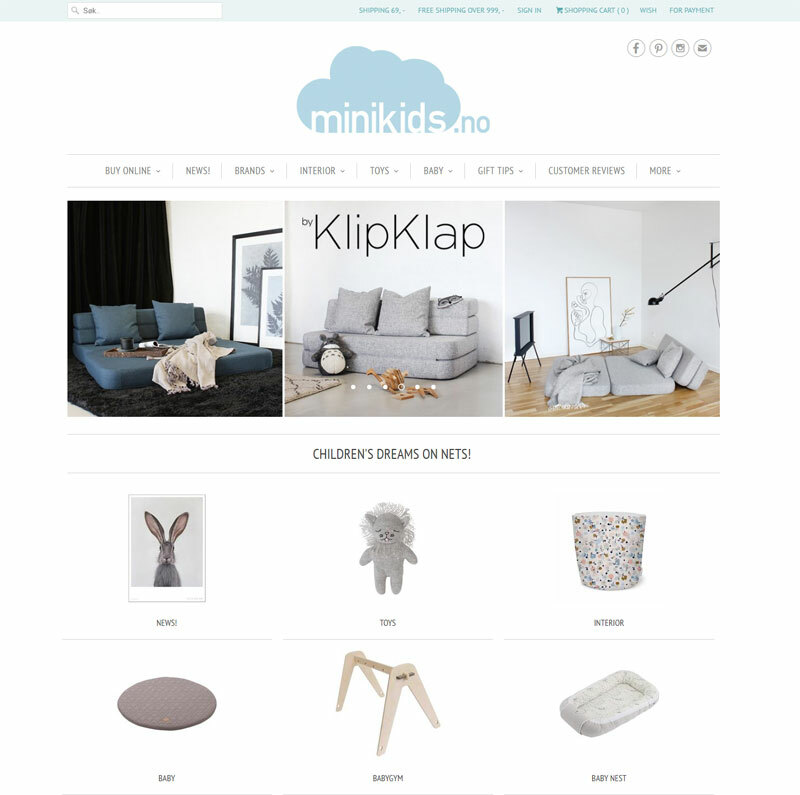 A wonderful store opened by a Norwegian mother and daughter, who loved the idea of combining toys and interior design. When the Norwegian pair found themselves about to become a mother and grandmother for the first time, they started referencing the baby as ‘mini’ hence the name Mini Kids. Not only do they offer great quality interior furniture for kids, but they also do toys for both older children and babies. Each piece is designed with children in mind, so you are bound to find something that your kids will like here. 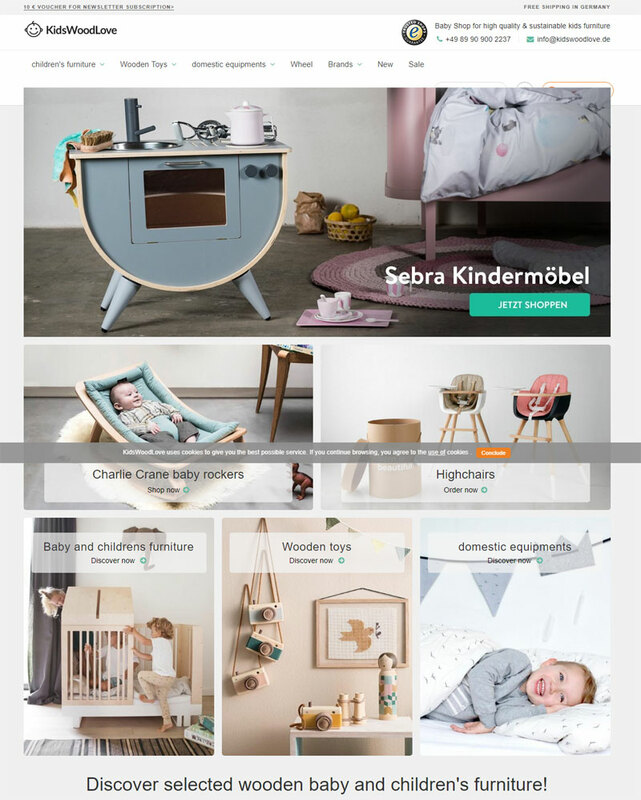 Yes, another one of the best shopify kids stores! Rad Dish Kids is an exemplary online store, helping to provide children with the skills necessary to get along in later life. 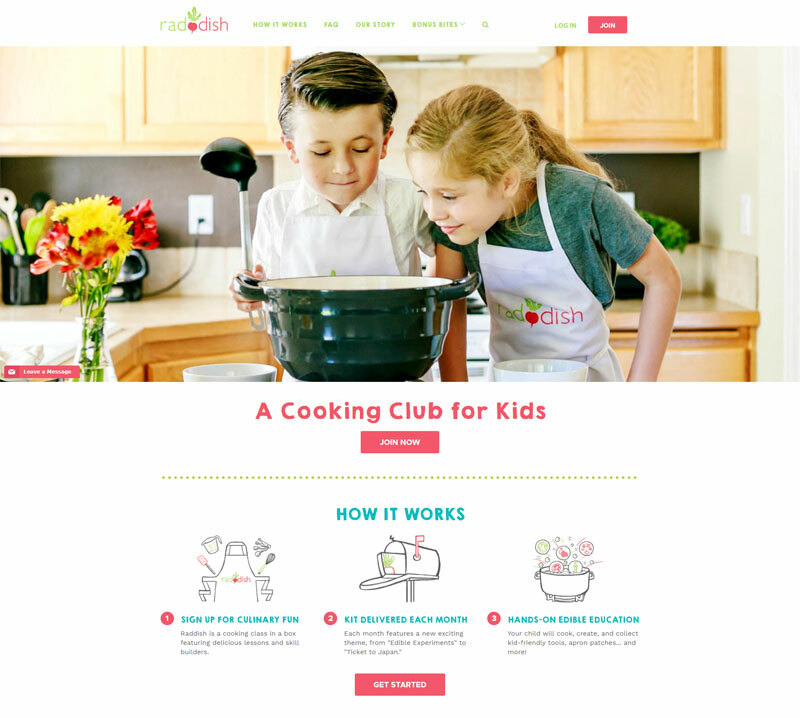 Run by a mixture of educators and chefs, Rad Dish Kids aims to give kids the chance to learn how to cook by sending recipe kits – including the ingredients. Just pick the recipe you want and they send it to your door. It’s a great way to get your young ones involved in cooking and learn a valuable life skill at the same time! This Shopify store will give you peace of mind as well as providing your kids with a fun accessory that looks great. 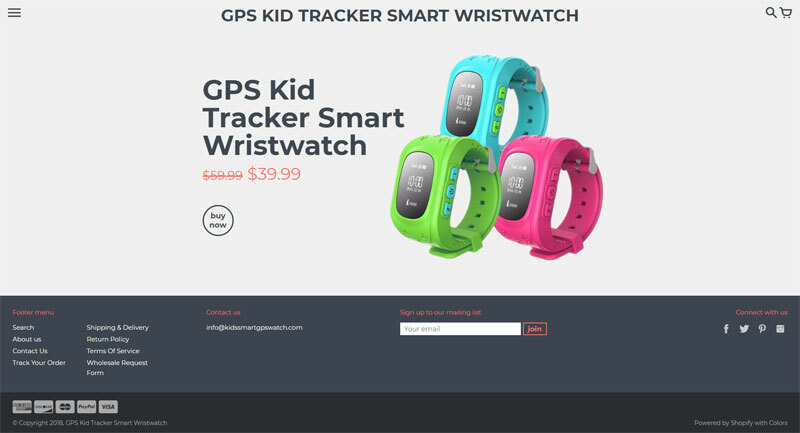 According to Kids Smart GPS Watch, 2,000 kids go missing or get lost every single day. With this innovative little gadget you can worry less about what they get up to, and never have to experience the heart pounding terror when you don’t know where they are. By connecting to parents’ smartphones, kids will be trackable wherever they are so no more panicking about them going out to play with their friends. Started by three young fathers who wanted to provide their children with high quality, eco friendly and stylish interior furniture. Every piece of furniture and toy that you will find on their website is hand-picked and tested by children for children. This means that your child is getting only the best toys to play with, and all made with natural materials meaning that these site is perfect for parents who are always looking for ecologically sound toys. Not only are the products all natural but they are charming and stylish and made for children. The brainchild of mum and business woman, Igloo aims to make the lives of parents easier by putting everything you could ever need in one convenient place. 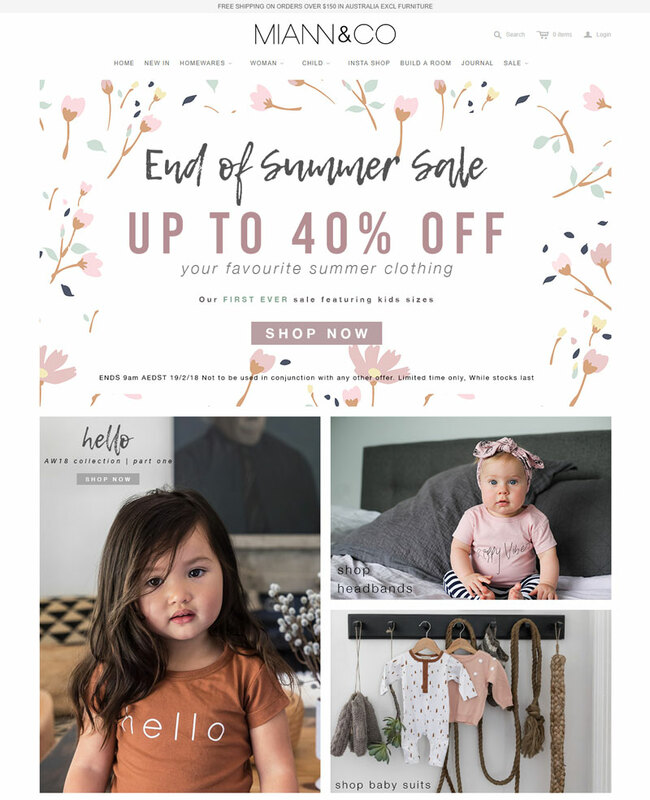 Selling designer kids’ clothes, babywear, shoes and toys as well as party stuff, jewellery and services like hairdressing and measuring the little ones’ feet sizes. 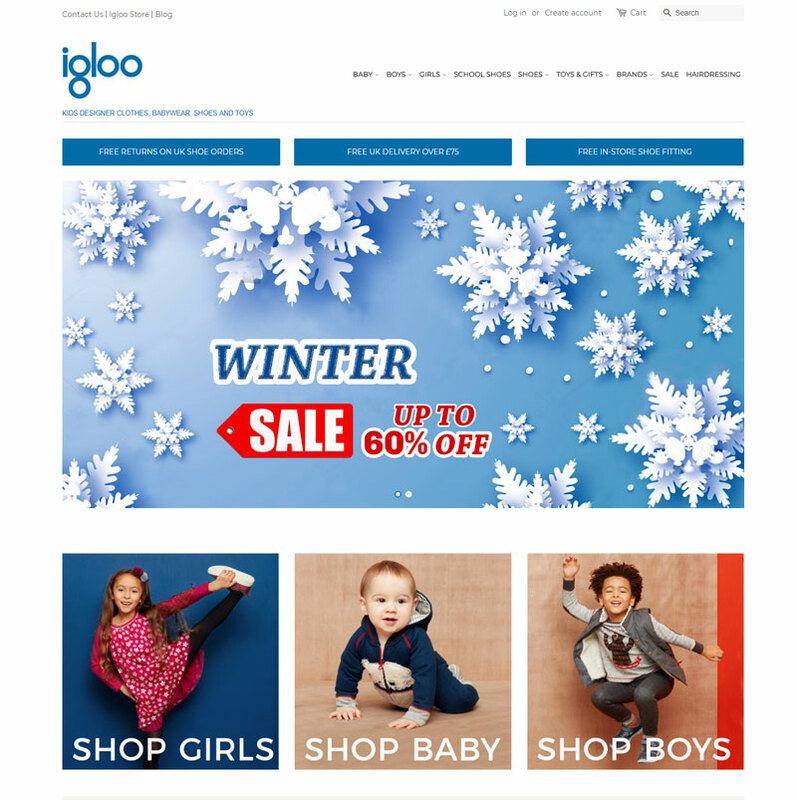 Each customer is important to Igloo, so shopping at this store will ensure that you get the best experience possible and every transaction will feel like being greeted by an old friend. 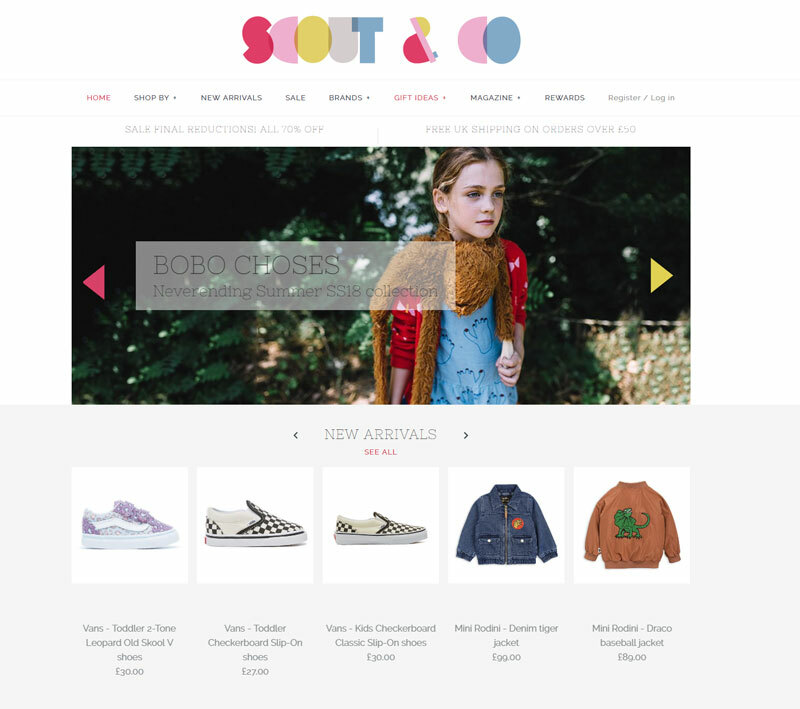 Scout and Co are an award winning online retailer, so you know that you are getting the best when you shop here. The founders of this company wanted to do away with the stereotypical pink and blue garments that are so usually found in kids’ clothes and develop products which are more unique – like the kids themselves! Everything in the shop is hand-picked and ethically made so that is one less thing to worry about when shopping for your children’s clothing. They also provide home décor which was picked with children in mind. An Australian company designed in 2011, Miann and Co want to introduce the world to ethically made and well-designed clothes that are different from the usual products your see in children’s stores. A lot of their products are made by working mothers' themselves. Therefore you know that they only have children’s best interests at heart. You can rest assured that you are helping other parents to work flexibly and spend more time with their own children. If none of the kid's stores have inspired you, then there are plenty more on Shopify to choose from.